Sikkal is situated about five kilometers from Nagapattinam on the Nagapattinam-Tiruvarur route. Actually this is a Saiva temple with Lord Siva bearing the name Śrī Navaneetheswara. But the main deity is Lord Subrahmanya called Singaravelavar. Sage Vasishta made a sivalinga made of butter obtained from the milk of the divine cow Kamadhenu for worship. After puja, the sivalinga could not be shifted and got stuck and hence the name sikkal in Tamil for this place. This temple was worshipped by sages Vasishta, Viswamitra, wish-granting cow Kamadenu and Emperor Muchukunda of Deva Loka. Saints Sambandhar and Arunagirinathar have sung in praise of the Lord Sikkal Singaravelavar. The name of the goddess in the standing posture here is Velnedunganni. Ganapati, Mahalakshmi, Nataraja, the sixty three Nayanmars, Bhairava, Surya and Chandra are also having sannadhis at the respective places as per agamic standards. The sthala vriksha (sacred tree) here is jasmine. There are three holy tanks for this temple namely Ksheera (ie. milk), Gaya and Lakshmi Tanks. During the Tamil month of Arpasi, Skanda Shashti is celebrated in a grand manner for the main ruling deity Singaravelavar. Tradition tells us that the Lord received the Vel at Sikkal and killed Surapadman at Tiruchendur the next day. During Skanda Shashti, Lord Singaravelavar will receive the Vel one day prior to Surasamharam from his mother to destroy the demon Surapadman. After receiving the Vel even today, one will find Muruga's face perspiring, which is a miracle. The Singaravelavar is in the form of utsavamurti with his consorts Valli and Devayanai, showering his divine grace. Legend has it that Muchukunda Cholan, associated with the Tiruvarur legend built this temple. Vasishta is said to have prayed to Shiva to recover his Kamadhenu, whose milk flowed and froze to form butter. Fashioning a lingam out of butter (Venneippiran), Vasishtar tried in vain to move it; it had gotten stuck (sikkal). Interestingly, Tirukkannankudi - a Vaishnava Divyadesam (near Keevalur nearby) has a legend associated with Vasishtar offering worship to an image of Krishna which he had fashioned out of butter. 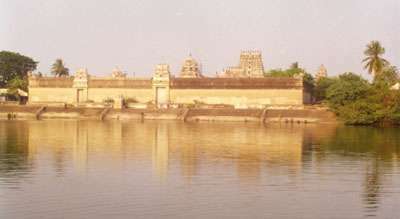 The Ksheera Pushkarini (Paal Kulam) tank is located behind the temple. Legend also has it that Vishnu sought the blessings of Shiva before venturing out to the court of the demon king Mahabali, and there is a Kola Vaamana Perumaal shrine adjacent to the temple. Temple: The seven-tiered rajagopuram that adorns the entrance to this temple is about 80 feet in height. Inscriptions from the imperial Chola period and from the Vijayanagar period abound in this temple which covers an area of about two acres. The Kartikai Mandapam in the forefront exhibits a number of paintings depicting legends related to Subramanya. Festivals: Six worship services are offered each day here. A number of marriages are performed in this temple in the kalyana mandapam. The annual brahmotsavam is celebrated in the month of Cittirai. Singaravelar receives his Vel (spear) from Devi during Skanda Sasti festival in the month of Libra; and it is believed that his image then breaks out in sweat. Soorasamharam is enacted here during this festival. According to legend, once upon a time the sacred cow Kamadenu was cursed by Lord Shiva when it ate meat. Later feeling guilty of its action it god rid of its sin by praying to perumal in this temple. After getting rid of the Sin, Kamadenu offered its milk which later become Porkulam the milk pond, which is located behind the temple. It is the holy water point of this temple. Vasista Maharishi performed a pooja here, by making a lingam from the butter in the pond. After completing the pooja he tried to move that lingam, which sticked to that place, and never moved. As a result Vasista Maharishi regarded this place as Sikkal. During the month of Iyppasi a ten day festival is celebrated for Lord Muruga. On the fifth day after the completion of car festival, lord Muruga returns to his Sannidhi with the weapon (vel) which he got from the goddess here. After few hours sweat drops are seen on the statue of Lord Muruga, which is unbelievable. The local proverp is "Get the Vel in Sikkal and perform Surasamharam in Tiruchendoor". This temple is one of the important Murugan temple in Tamilnadu, and in particular one of the noted temples in Nagapattinam. It is located in the village of Sikkal, which is five kilomenters west of Nagapattinam and eighteen kilomenters east of Tiruvarur on the way to Nagapattinam. The scene where Lord Muruga gets vel from his mother Gnanambigai is spectacular. The front mandalam (figure) of Lord Muruga appears bright like gold, due to sun rays falling on it. With music from four types of organs in the background and a smilling face, Lord Muruga returns to Somaskandhar sannidhi very quickly like an arrow shot from a bow.  Sweat appear like snow on the figure of Lord Muraga, even when cooled with peacock feather, and dried with silk and rose petals. Even if a part of weat drops found on the walls of sannidhi sprinkles, one will attain the benefit of this life. The presiding deity of this temple is known as Sri Navaneethaswara Swami in Sanskrit, since Vasista Maharishi has worshipped this deity by making a statue with butter. Navaneethaswara Swami helped Kamadenu to get rid of its sins. The presiding goddess of this temple transformed her powers into “Velayutham” a weapon for Lord Murugan to destroy Suran. This temple established by Ayodhya rulers several hundred centuries ago, was constructed by Sochchengat Cholan in 4th Century. Rajagopuram found before the temple conotains seven stages, it is eighty feet in height. Beautiful plaster sculptures portraying the destruction of Suran are found ibn the Rajagopuram of this temple. Also there are paintings in Vasantha Mandapam also known as Karthigai Mandapam, depicting puranas like Kanda Puranam, Kandan Tiruvilaiadal, and the career of Lord Muruga from birth to his marriage. Plaster sculptures of Lord perumal and scenes depicting Marisha Vadham are found in this sanctum sanctorum of this temple. Plaster figures of Dhashinamoorthy, Murugan, Natarajar, Thiyagarajar, Pathanjali, Viyakorapathar, and of Gajendra motcham, penance of saint Dhuruva are present here. Beautiful painting depicting the marriage of goddess parvathi is seen in Kalyana Mandapam. 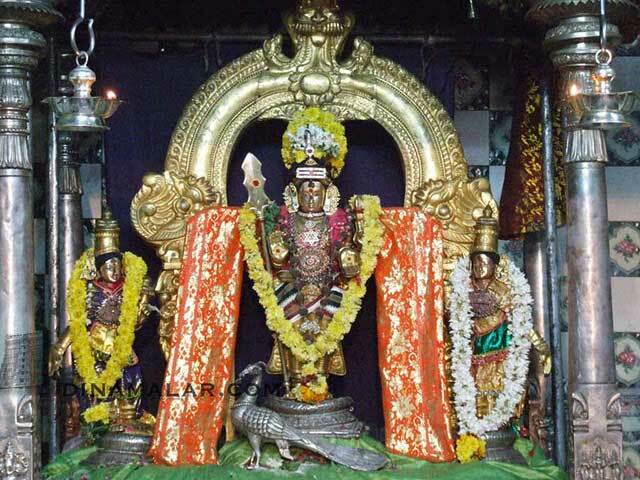 There is a beautiful sculpture of Vaikundanathan seated in Perumal Sannidhi. Inscription are found in this temple. Two cars with scultptures, kalyana chariot, golden vehicles are present in this temple. Gold plated horse, peacock, goat and silver rishaba vehicle are present in this temple. For the well being of general public purified water is provided. Bus service is available around the clock as it is on the State highway connecting Nagapattinam and Trichy upto Sikkal, which is located three stone distance west from Nagapattinam. The HR & CE department has appointed an Executive Officer for the adminisitrations of this temple. Alsothere are 20 subordinate officials working under his control. The annual revenue of this temple is about sixteen lakhs rupees. Other course of revenues are from offerings. The temple has 175 acres of dry land and 929 acares of wet land. This temple is the foremost temple under the control of HR&CE Department. Lodging facilities are available near this shrine. Boarding facilities are available near this temple. A silver chariot renovated with a budget of ten lakh rupees is kept in a separate mandapam in the south-eastern part of Sancturn Sanctorum. Also there are two wooden chariots. One is used during chitrai festival and trhe other is used during kandhasasti festival. Train service is available upto Sikkal, the temple is just one and half kilometers from the station. Parkulam (milk pond) formed by Kamadenu, and Ammakulam Gayatheertham, Ilakkumi Theertham, Virutha Kaveri are the holy water points in this temple. Chitrai brahmotsavam, Kandasasti festival, Vishakam, monthly Karthigai festivals are celebrated in this temple. According to legends the sacred cow Kamadhenu’s face turned into a tiger’s face due to its sins. It got back its face, after it took bath in the holy water point of this temple and worshiped here, as tole by Lord Shiva. While taking bath in the pond, milk secreted from Kamadhenu. Soon the whole pond was mixed with milk and it turned into a milk pond Vashista Maharishi (saint) formed in lingam from the butter of this pond and worshipped Lord Shiva here. After completing the pooja when he tried to move the Lingam from that place, it got sticked to that place like a stone (kal) and did not moved. As a result this place came to be known as Sikkal It is believed that this is the statue of Sri Navaneethaswarar, we see here in Sikkal. Tiru Gnanasambandar has sung about this temple. The following inscriptions are found in this temple. The following mandapams are found in this temple. Kalyana mandapam. This mandapam is found in front of the temple. It is full of artistic works. This mandapam is huge measuring 300 feet in length and 60 feet in width. It can accommodate more than 4,000 people. It was constructed in 1932. Karttikai Mandapam. This mandapam charming to look at contains paintiangs from Kandhapuranam. Abhisekam is performed to Singaravelar here during Karttikai festival. There are temples in Nagapattinam which is three kilometers from Sikkal. The temples are Sri Kayaroghanaswamy Temple, Sri Neelayadatchi Amman Temple, Sri Saundiraraja Peruma temple, and Sri Dhamodara Narayana Perumal Temple in Tirukunnakudi which is one among the 108 Vaishnavaite temples. Singhara Velan Sannidhi is given more importance than the Sannidhis of presiding deity and goddess. Sikkal is known for Lord Singaravelar. The moment we spell Sikkal, Singaravelar comes to our mind. Sikkal ploayed and important role in cine field, the music and songs portrays the pride of Singaravelar who obtained vel from goddess is seen facing toward sound in his sannidhi, just like Sri Nataraja Perumal seen facing toward south in Chitrambalam, after cosmic dance before Pathanjali Viyagrapatha Saint. It has all the three features of a temple known as Moorthi (Idol), Teertham (holy water) and sthalam. Arunagirinathar has sung in praise of this temple in his work”Tirupugal” According to legends sweat appears on the deity of this temple, three hour after sweating, salts due to the sweat can be seen on the body. A commissioner of East India Company has indicated about this in his note. Even when it is raining outside sweat drops appears on the walls of the sannidhi and on the deity's body. Devas reported to Tirumal, the troubles caused to them by Mogabali Chakravarti who is ruling the earth. Lord Tirumal manifested himsellf and took the form of Vaman, and reached Sikkal. He created the Gaya Teertham. He took holy nath in the theertham and prayed to Sri Navaneethaswarar to provide strength to destroy Magabalichakravarti, and the equipments requested by devas. Sri Navaneethaswarar appeared before him and blessed him with strength to destroy magabali. Tirumal destroyed Magabali Chakravarti and brought relief to devas. Tirumal temple is remaining as a pride to this tempsle in Sikkal. Now he is blessing the devotees with the name Kolavamana Perumal. Lord Anjeneyar blessing the devotees has a separate sannidhi in the north west corner of this temple. Devotees offer curd rice footbag so that their wishes are satisfied. The development work of this temple was started with the renovation works of mandapams, towers (gopuram) and vimanam. The people of Natukkottai constructed and renovated many temples with large funds and spread belief god. 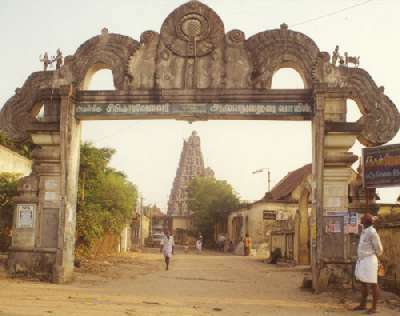 Ramanathapuram district Aathikadu Therkoor Tiru Karumuthu Alagappa Chettiyar remained as trustee this temple for 35 years from 1899. Karumuthu A.L. Tyagaraja Chettiyar also constributed for the better administration and Tiruuppani works. Noted industrialist and philanthropist madurai Tiru Karumuthu T. Kannan followidng the good will of his ancestors has done Rajagopuram Tiruppani and other development works for the temple now. Tirukalyana Mandapam a huge hall was constructed, golden vehicles, Ornaments, gold vests were made by Tiru .Karumuthu Alagappa Chettiyar. Mahakumbashikam was conducted on 5.6.1933 with 8 lakhs Rupees (including development works) later Kumbabhishekam was conductred in 28.8.1960 and 26.4.1991. Now the Tiruppani work is going on speedy by the donors under the instructions from the HR & CE Administration Department and by expected consecration by February 2004. Every fullmoon and Newmoon day ghee pasted to the moolasthanam (Navaneedheswarar) for rectifying our sins and get entire blessing of Lord Navaneedheswara. This temple is situated at Poravachery four kilometers from Nagapattinam on the Nagapattinam-Tiruvarur route just one kilometre from Sikkal. Lord Shanmuga with his consorts Valli and Devayanai is in the form of granite statue. The peacock, Lord Muruga and the Tiruvakchi are all made of a single piece of granite. One sculptor made three similar statues the other two being at Ettukkudi and Enkan. The sculptural work is something marvellous with no parallel anywhere in the world. Minute details such as nails and veins are intricately carved. The peacock is holding a snake in its mouth and the snake is curving with a hole. The Lord is six-faced with twelve hands with usual weapons in ten hands and the other two displaying varada and abhaya hasta.